A new competition for B teams of Premier League and Championship clubs will be considered by the Football Association on Wednesday. One proposal is for these second teams to play in a league sandwiched between League Two and the Conference. Another option is to merge the B teams with League Two and the Conference to form two regional leagues. The plans are part of FA chairman Greg Dyke's commission looking at ways to improve the national team's fortunes. It is understood the Premier League and Football League clubs are broadly in favour of a new competition, which would give greater competitive opportunities for their young, home grown talent. But they have deep reservations about how it might fit into the pyramid and the knock-on effects to other leagues and competitions. The Football League Board has been regularly updated on the process and will met with Greg Dyke later this week. Football League chairman Greg Clarke described the purpose of Dyke's England commission as "laudable". "We recognise the benefits a successful England team brings to the game in this country at all levels," he said, adding that the meeting with Dyke will give the Football League board the chance to "ask some practical questions" about the likely impact of the proposals. "After fully considering the relevant issues, the Board will then take a recommendation back to clubs who will determine the League's position on this matter," he concluded. The Premier League would favour a beefed up academy league for players under the age of 23, modelled on the United States' college football system. One question is whether current League Two clubs would be relegated into the Conference or the new B team league. The other difficult issue is how far B teams could be promoted. Alan Algar, sponsorship manager for Conference sponsors Skrill, told BBC Radio 5 live he had deep reservations about the idea. "I think it's a disgraceful proposal because it makes it very difficult for non-league clubs to feel part of the football pyramid," he said. "People all over the world look towards England and are envious of our pyramid and the way things work here. To insert a number of teams that aren't competitive and won't have a fan base just makes it very difficult." Gary Sweet, chief executive of new Conference champions Luton Town and a Conference board member, said: "These proposals would completely kill English football as we know it. How do B Teams work in Europe? "I think there is a serious political impact, particularly regarding the communities that are a part of the clubs that they represent. "To my understanding there has been no consultation process with clubs or leagues at this level." Despite such worries, one source told the BBC that, following more than 300 interviews with clubs and other stakeholders in the game, led by research consultant Peter Beverley, there was a universal acceptance that a major overhaul was needed to give reserve sides and young, English talent more regular, competitive football. Commission members point to the fact that clubs in Spain, France and Germany all play B teams in competitive leagues - thought to be a big factor in those countries developing talent. Dyke is believed to be keen to open the debate about the state of the national game ahead of the World Cup finals in Brazil, which kick off on 12 June. There is a determination to get on the front foot ahead of the tournament to pre-empt the inevitable debate which will follow if Roy Hodgson's England team put in a disappointing performance in Brazil. Ironically, the emergence of players like Raheem Sterling at Liverpool and Adam Lallana at Southampton has taken some of the heat out of that debate in recent months. Some senior figures inside the FA are also urging Dyke to hold fire until after the competition and until all the finer details of the commission's proposals are ironed out. The Dyke commission was set up last autumn to try to address ongoing concerns about the strength of the English national team and the lack of top-class English talent forcing its way through into Premier League first teams. The commission, which includes former England manager Glenn Hoddle, former Leeds boss Howard Wilkinson and Crewe Alexandra director of football Dario Gradi, is aiming to deal with two major questions: the pathway for players aged between 17 and 21, and grassroots facilities. While it is thought the commission has done extensive work on the first question, the issue of grassroots football is not yet complete. 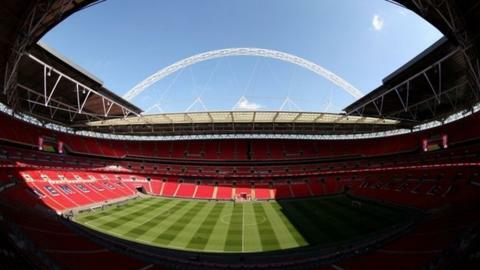 Other proposals expected to go before the FA board include a shake-up of the loan system, improvements to coaching and changes to the homegrown player quotas operated by Premier League and Football League clubs. But it is the B team proposal that promises to be the most controversial.